Bulgaria's monuments - Soviet-Empire.com U.S.S.R. Most of those are some very interesting looking monuments. I hope somebody will do something to preserve them. It would be a shame to see some of those go. So beautiful and so sad. It's a fragging shame that no one seem to be doing anything to preserve such monuments. 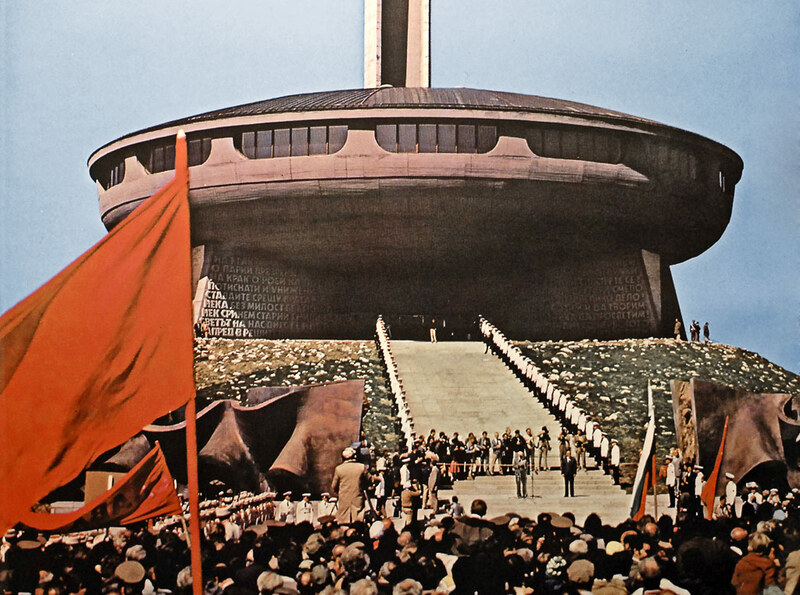 I bet the Bulgarian authorities wish to erase every trace of their Marxist history from the trail and by leaving the monument to rot, they present themselves to the world as a modern, capitalist country. Doesn't every Eastern European country wish to erase their socialist past? I wonder what the second pic would've looked like in its heyday, wish my living room looked like that. I think Hungary has a park for its old monuments. I saw that park,for like 10 seconds from the bus. I remember seeing Marx and Engels,and Stalin's boots. Shame these guide gits didn't want to stop there. it's a pretty lousy park to be honest. small and not that much to see. in slovenia we have statues like this all around in the cities, parks and streets. it might sounds like an interesting attraction but honestly it's just a way to deal with "unwanted" past. What ever the capitalists do, they'll never be able to do anything about Lenin's bust in Antartica. When they finish melting the Poles the statue will be in an even harder place to visit. Even if the current regime in Bulgaria holds no love for Communism. They should still protect this stuff as part of their heritage and history. Apart from anything else preserving such structures could be justified in the same way that they have Holocaust memorials (I'm not equating them - just imagining arguments they could use). Anyways going back to these Bulgarian relics, I like the amphitheater looking one. Are there any pictures of it in better times? Not really, there's mountains beneath the Antarctic Ice. Also, I don't know. You can't seriously expect the bourgeoisie to care for Lenin statues. 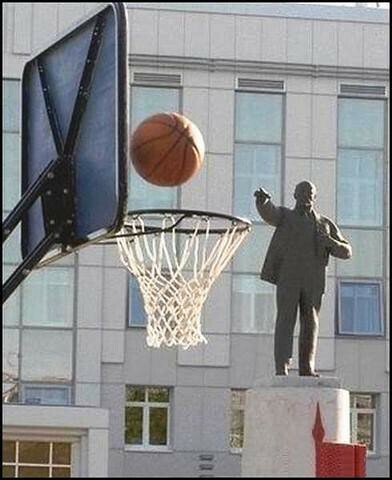 They're just hating on Lenin's mad basketball skills. Haha, that's awesome. Lenin's still shooting basketballs from beyond the grave. I have some pictures from my hometown as well if anyone is interested? There are some monuments left from our Socialist years. За Родину, За СТАЛИН !